← The First Captain Marvel Trailer is Damn Cool! I’m so glad I splurged on that Playstation 4 earlier this year, because the new Spider-Man video game is spectacular! I daresay it’s the perfect Spider-Man game, with a great story and super-fun gameplay. Barring some sort of 1:1 fully immersive VR experience, the new game from Insomniac is as good as a Spider-Man game can get…until the inevitable sequel! Video Game Rating: 10/10 – Fantastic! The web-slinging is fun, the cityscape is expansive, the fighting is a blast, with a ton of moves and so many web attacks I lose track sometimes; and best of all, the story and the characters are purely perfect Spider-Manery! Spider-Man for the PS4 is an event! And I daresay a sequel is already in the works, which should improve upon everything for an even better game! I, being the helpful, no-name blogger that I am, have cobbled together a list of things I would like to see in the sequel! And feel free to share your own hopes and dreams in the comments! Warning: There will be FULL SPOILERS for the game, so tread carefully. Symbiotes were teased in one of the post-credits scenes in the new Spider-Man game, complete with a new origin (maybe). I am definitely in favor of having symbiotes play a major role in the sequel. They’re perfect for a video game, especially a setting like Spider-Man‘s Manhattan. Not only do you get a whole roster of potential villains, including Venom, Carnage, Scream and any other minor symbiotes you want to add, but a symbiote invasion is the perfect threat to take over the entire island. Every street, park and back alley in the game’s digital Manhattan is stuffed to the gills with pedestrians, cars and general folk just milling about. 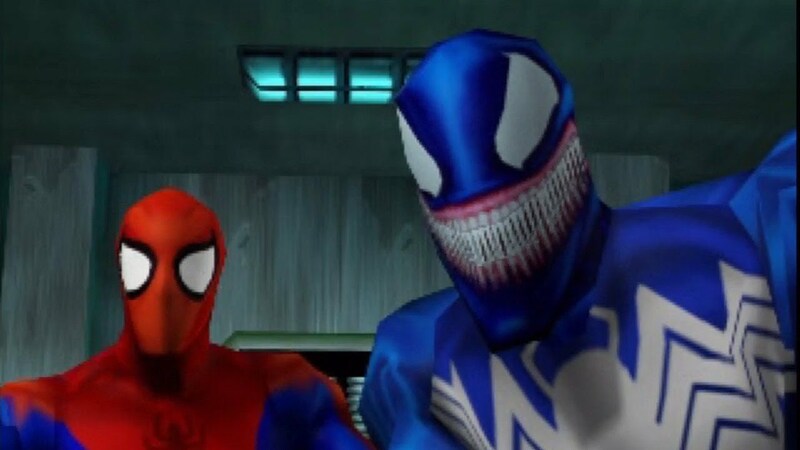 Those people are only ever really part of the environment in the first game, but imagine being able to weaponize them with symbiotes for the sequel? Spider-Man won’t be able to finger-gun down the street without symbiotes attacking from every angle, once the story/game really hits its climax. A city-wide symbiote panic is the perfect plot for a sequel. He’s just not sure of himself! Despite being imminently predictable, the journey from jovial Otto Octavius to vile Doctor Octopus in the first game was great storytelling. The writers took the time to really get us invested in Otto’s mission, and his inevitable turn was all the more heart-breaking because of that, especially the climactic battle at the end. That’s how you build up a video game boss. So obviously I hope they do the same with the sequel’s main villain. They’ve already started laying the groundwork for Norman Osborn, which would be fine. 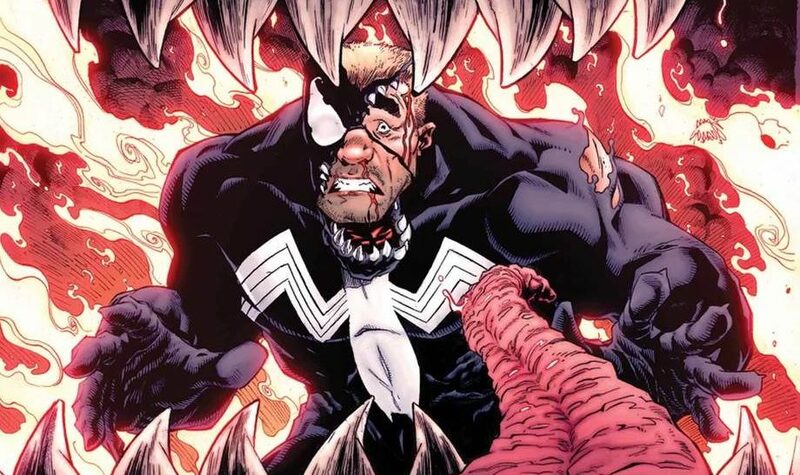 But if they go the symbiote route, how about a fully-fleshed out Eddie Brock? We already got a hint in the first game that he’s working at the Daily Bugle, so let’s tell his story straight through. Mary Jane is working at the Bugle, so that’s how we can meet Eddie in the beginning of the game. Spider-Man can catch the Sin-Eater (or whoever) and embarrass Eddie early in the story, J. Jonah Jameson can embarrass the hell out of the guy on his podcast, all while Spider-Man deals with the symbiote elsewhere in the game. We can really get into Eddie’s motivations and broken anger, and then he’ll eventually team up with the symbiote and we’ll have a more tragic and awesome Venom! Eddie Brock’s story can be full of pathos, and Insomniac has shown they are more than capable of delving deep into a worthwhile story. I could write a whole list of character cameos I want to see in the sequel. But for the purposes of this list, I’ll shorten it down to just two: Phil Urich and Anna Maria Marconi. Phil is the nephew of Daily Bugle reporter Ben Urich, and once worked for the paper as an intern. He later went on to become the heroic Green Goblin in the 90s, then upgraded to a villainous Hobgoblin in recent years. If we see the inside of the Daily Bugle in the sequel, to show off Mary Jane and Eddie Brock, then a quick cameo from Bugle intern Phil Urich would be the bee’s knees! 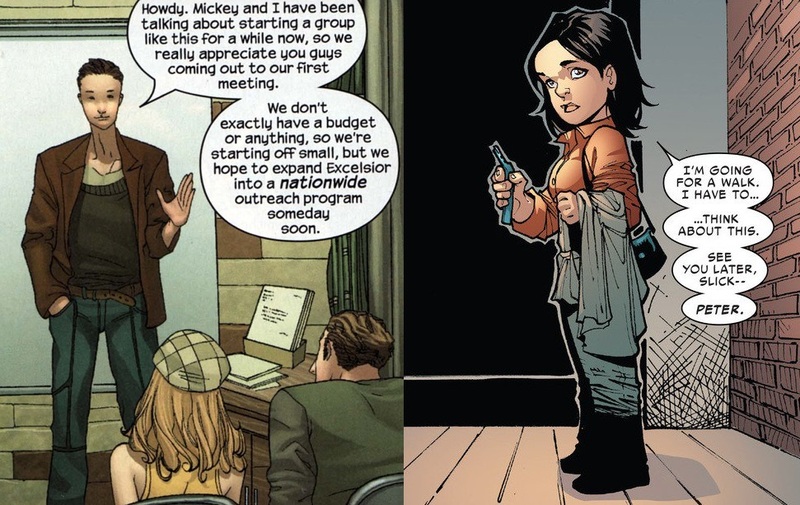 Anna Maria Marconi was a new love interest introduced in Dan Slott’s Amazing Spider-Man comic book run, from which the new game takes a lot of influence and ideas. She’s a scientist who was romanced by Otto Octavius when he possessed Peter Parker’s body. It was a touching, if insane, romance, and Anna Maria proved to be an interesting character in her own right. I would love to see her show up in a sequel, especially if the game continues Otto’s story. Speaking of which, the Superior Spider-Man story, where Otto and Peter switch brains and Otto becomes a jerkass Spider-Man, would make for a great game storyline. You’d still get to play as Spidey, only now you’d get to be a jerk! And that would be a solid reason for Miles Morales to don his own Spider costume to try and stop you! Sounds like a possible story for the threequel. Go ahead and add Brooklyn, Queens, the Bronx and Staten Island to the game map. The Manhattan map is huge! Insanely huge! But is the game really going to just stick to the same map every single time? Isn’t that pretty limiting? 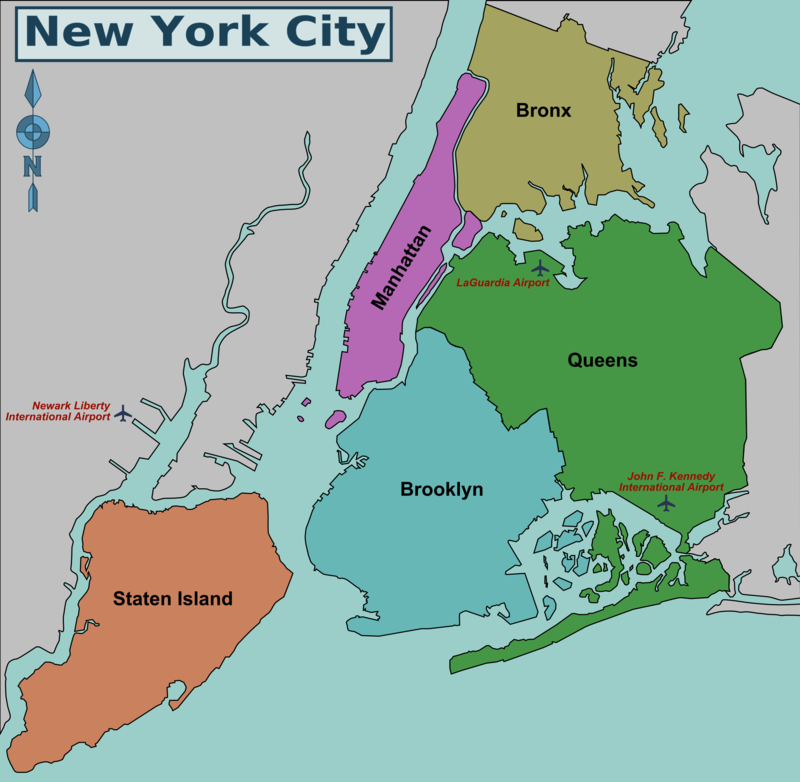 Add some other New York City areas to the game and give us more room to play around. Let us recreate that Spider-Man: Homecoming scene where Spidey doesn’t have any tall buildings to swing from. Maybe even include Jersey City and a Ms. Marvel shoutout! Random criminal encounters have been a staple of Spider-Man video games since he was first able to swing around an entire city in Spider-Man 2. There are a ton of them in the new game, from stopping an entire gang of muggers to high speed chases to locating kidnapping victims. They’re a great way to pass the time and give Spidey something to do while he’s swinging around. One thing I would have liked to see in this game was part of the random encounters in the Ultimate Spider-Man video game, which was to make some of the smaller, less important bad guys into random encounters. The sorts of villains who don’t deserve gigantic, set-piece battles, and whom Spidey can beat up in a smaller setting. 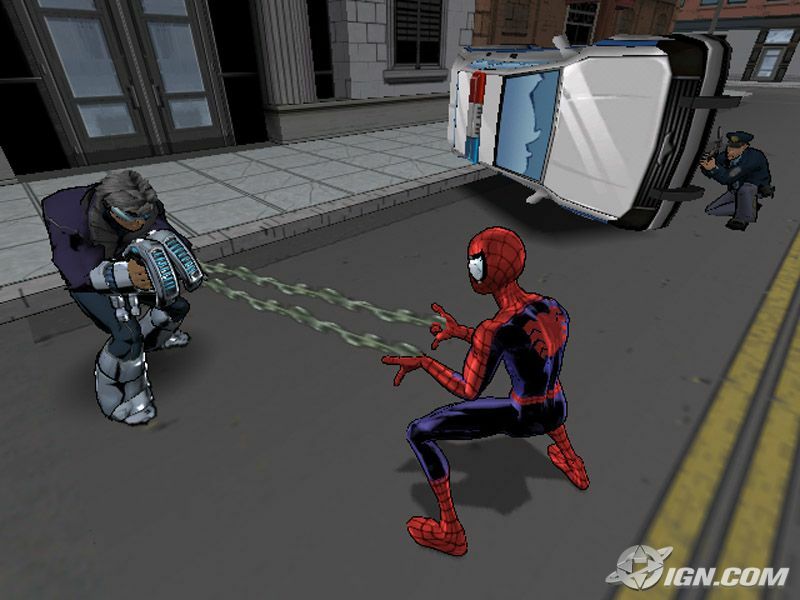 The Ultimate Spider-Man game featured Shocker and Boomerang in random encounters. They’d show up causing trouble and would be a tougher fight than regular crooks, but could still be handled by Spidey while he was swinging past. It was just a fun little way to mix in a few more cameos, and it was probably my favorite part of that game. Spidey has a ton of such villains that could be used in that regard. There’s Boomerang, obviously, then you’ve got the likes of Grizzly or the Kangaroo or Joystick or all three of the Enforcers! Maybe put one villain in each borough as a small boss battle for when you complete all of the regular street crime. Or if you want, use them for full-on side missions, like the new game did with Tombstone, Taskmaster and Screwball. Imagine a mini-game where you’ve got the Kangaroo hopping around the city and you’ve got to find him? Or what about the madness of having the Spot show up and you’ve got to portal around all of Manhattan? I’m just saying, Spider-Man has such a wonderful Rogues Gallery of minor villains that could be put to much better use. They don’t all need to be main quest boss battles. Yes, this was a thing! And it was great! Web-swinging around Manhattan is a fantastically fun experience in the new Spider-Man game. It’s maybe not as perfect as my memories of the Spider-Man 2 web-slinging from back in the day, but it’s as close as any game has been since. But web-swinging is not the only unique and fun form of transportation in the Spider-Man world! What about the Goblin Glider? 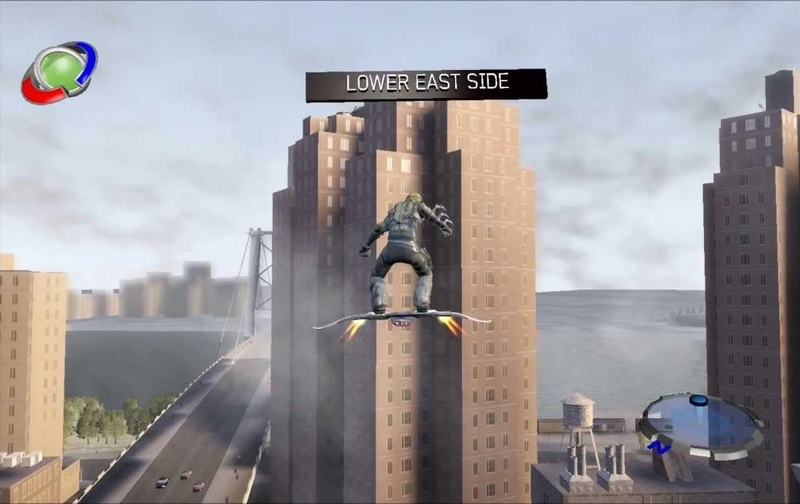 Imagine being able to essentially sky-surf around all those skyscrapers, dipping and weaving and hitting intense speeds, with the wind in your hair and a handful of grenades ready to launch in any direction! The Goblin Glider was teased in the first game, so if we do get the Green Goblin as a villain in the sequel, why not have a bonus mode where we get to fly around the city like him? This wouldn’t be an unprecedented move. The tie-in game to the first Spider-Man movie had a Green Goblin mode, pictured above. Once you beat the game, you could replay the whole thing as the Green Goblin, complete with flying glider and weapons. The game even wrote an entirely new story with Harry Osborn as the Goblin fighting the good fight. And I think they re-used this game mode for the Spider-Man 3 tie-in games. So such a movie would not be unheard-of, and instead has a long tradition in Spider-Man games. If you’re going to all the trouble of making the Goblin Glider mechanics in the first place, why not let players have fun with it too? And we should be able to play as Venom, too. And maybe Boomerang? Posted on September 19, 2018, in Lists of Six!, Marvel, Spider-Man, Video Games and tagged Playstation, Playstation 4. Bookmark the permalink. Leave a comment.